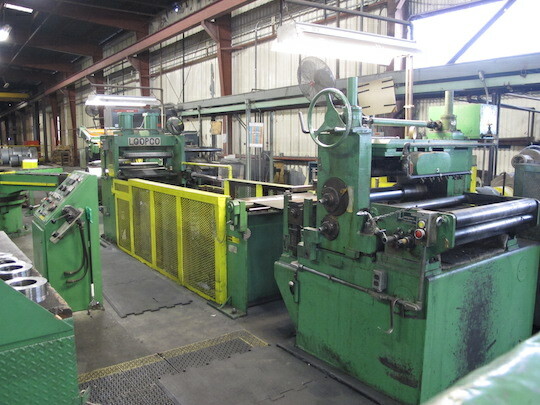 Bearings 6.299” (31 Bearings), Payoff Slide Base 16” to 22” Coil ID, draulic Expansion, Pit Type Coil Lift, Mill Stand Hydraulic Screw Down, 350Hp DC Motor / 650 RPM, Thickness Range .187” / .010 Carbon Steel, .160” / .010” Stainless Steel (9” Width), Line Speed 400 FPM @ Full Torque, 600 FPM @ Reduced Torque, Reversing Reel 20” ID, Max 50” OD, Hydraulic Gripper, Hydraulic Push-Off, 200Hp DC Motor / 1380 RPM, 50” Max Coil OD, Reversing Line Direction (2 Winders), Complete Hydraulic System, Oil Misc Collection System, SCR Drive System (I2S Upgrade 2000), Integrated Industrial Systems mdl. RSS06 Gamma Gauging System with Am214 Isotope G998 (I2S Upgrade 2000), I.P.M. 600-4-42 Rolling Oil Filtration System, 2.5 Million Dollar Replacement Value. 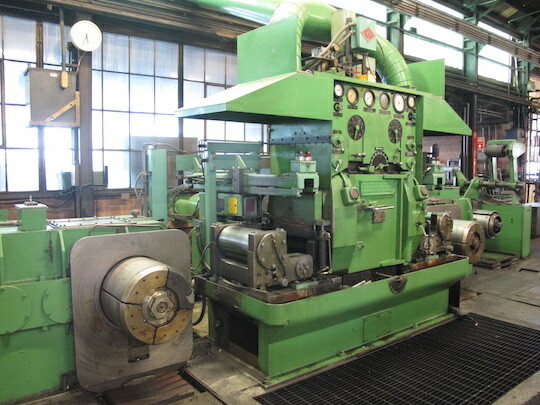 @ 850/2300 RPM, Line Direction Left to Right (One Way), Complete Hydraulic System, Eurotherm Automated DC Digital Drive (Upgraded 2006). 15 Ton Cap w/ Hoist (Approx 45’ Span). 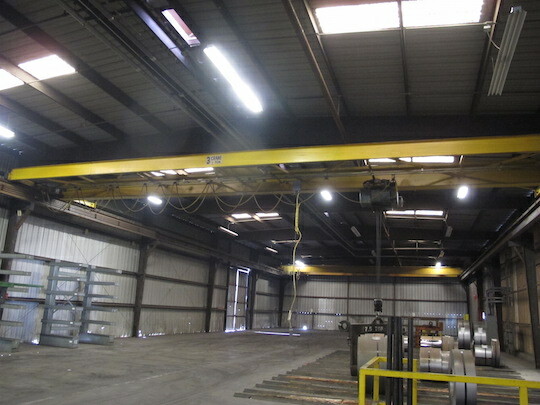 Checo 10 Ton Cap w/ Hoist (Approx 45’ Span). P & H 7 ½ Ton Cap w/ Hoist (Approx 50’ Span). Robbins & Meyers 7 ½ Ton Cap w/ Hoist (Approx 50’ Span). 5 ton Cap w/ Hoist (Approx 50’ Span). Crane-Veyor 5 Ton Cap w/ Hoist (Approx 21’ Span). 5 Ton Cap w/ Hoist (Approx 20’ Span). 4 Ton Cap w/ Hoist (Approx 50’ Span). Checo 4 Ton Cap w/ Hoist (Approx 40’ Span). 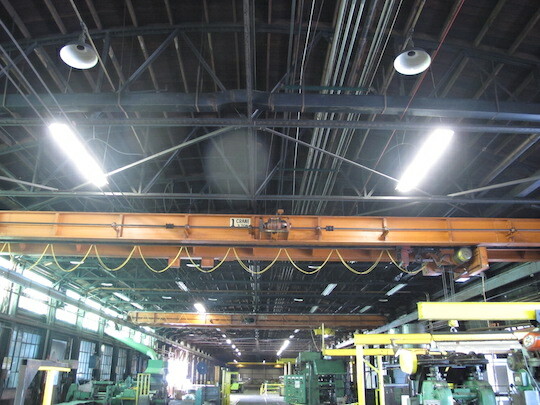 Checo 3 Ton Cap (Approx 20’ Span NO HOIST). 2 Ton Cap w/ CM Hoist (Approx 18’ Span). 2 Ton Floor Mounted Jib w/ CM Electric Hoist. 1 Ton Wall Mounted Jib w/ CM Electric Hoist. Cincinnati 60” Leveler w/ Roller Feed Guides. 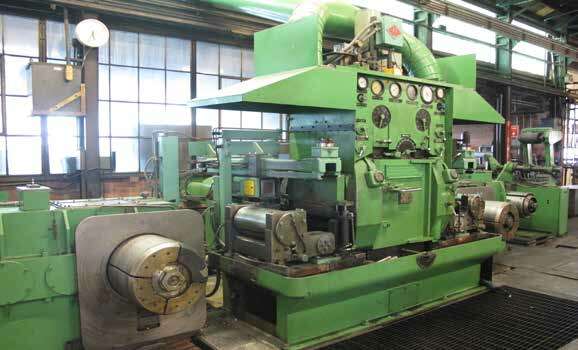 Cincinnati 20,000 Lb x 48” Pay-Off Reel. 20,000 Lb Cap Coil Car. 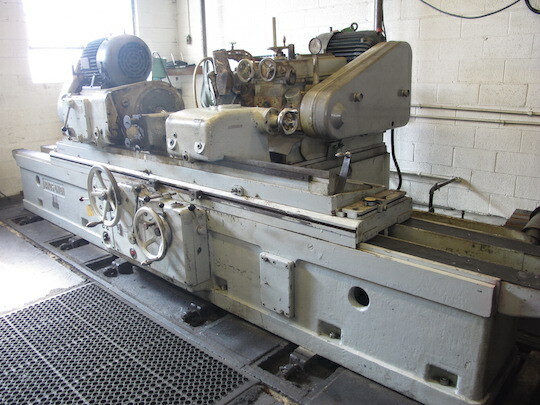 Cincinnati 60” x 10GA Cap Shear. 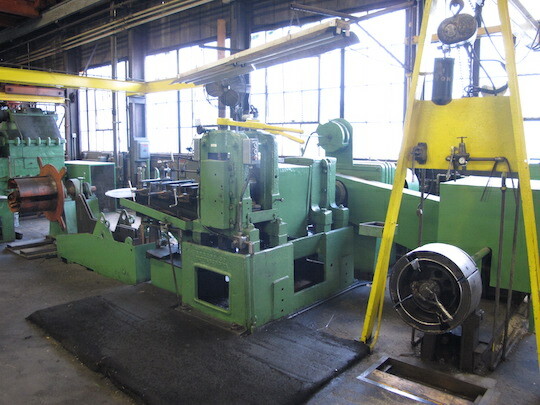 A & B 60” Feed Table w/ Pneumatic Roll Tensioners. In-Ground Roller Feed Loop Table. Banner Hydraulic Spool Banding System s/n CS-4635 w/ 6000 Lb Cap. Nugier mdl. 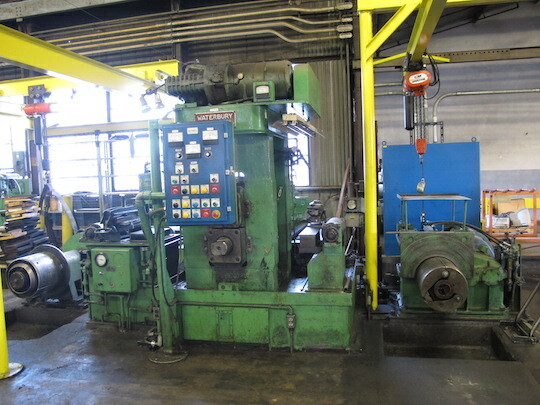 H40-7 40-Ton Sliding Ram Hydraulic HFrame Press s/n 2502076. Nugier mdl. 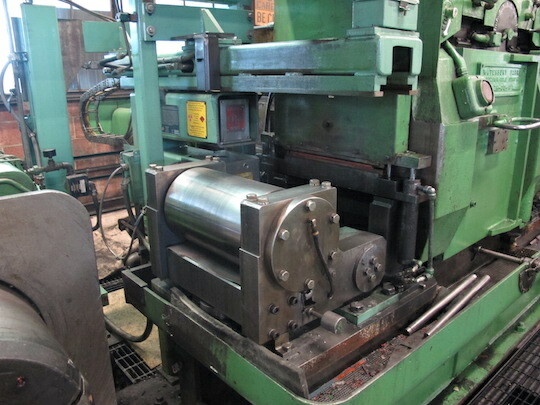 U20-8 20-Ton Hydraulic H-Frame Press s/m 414. Gates mdl. PC707 Hydraulic Hose Crimper w/ Acces. ICM Dry Blast Cabinet w/ Dust Collector. (2)5’ x 6’ Digital Platform Scales.